When training in any striking martial art, it is essential (especially for males) to have adequate groin protection. The RevGear Steel Cup is one of the options you may choose to protect your precious gonads with. Thai boxers have used steel cups for generations but unfortunately, they didn’t have comfort into mind when developing the first generation of cups. It’s 2012, and the RevGear Steel Cup is definitely the choice for the future. The RevGear Steel Cup features a genuine leather lining so you don’t get cold when things do. The three-lace adjustment system allows for a comfortable fit, and it allows for unrestricted movement for when you train your favorite martial art. 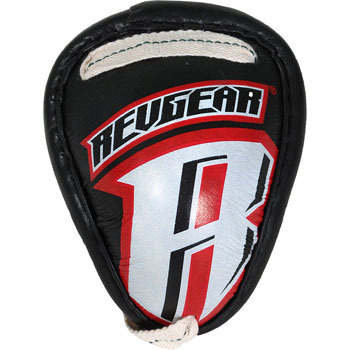 The RevGear Steel Cup is available at MMA Warehouse.